Fire trap: Activates as you get too close, best practice is to run past it, before it even activates. Otherwise, wait until it stop blowing out flame and run for it. Just like crossing a road with traffics. Spikes: Similar to the fire trap, however, spikes will trigger itself with or without your presence. So time your movement right before moving past it. Rock fall: This is trigger randomly. However, as long as you keep going your current direction, it will not hit you. Do not panic and move back, you will fall right under the rock! Each type of gem grants your heroes different bonus. To un-equip the gem, simply right click it again in your inventory. To destroy a gem from your inventory, just double click on it. At the beginning of the game, you will receive one tarot card. To use this card, you will need to collect "Soul Energy" from defeated monsters. Each monster will grant you 1 soul. After collecting 10 souls, the blue orb at the mid-bottom of the user interface will start to glow rapidly. You can then activate your tarot card by calling out the tarot panel (clicking the "Up" arrow). Tick the check box next to the card you want to activate (card not yet unlocked will be grey). Each card has its own special game changing effect! You can check the card description by placing your cursor over the card user interface. 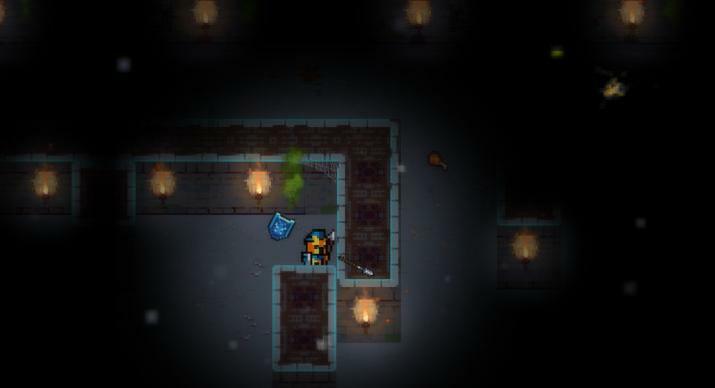 Always keep your torch lit, otherwise you will constantly be subject to surprise attack by monsters sneaking around you. Remember to feed your team of heroes. After leveling up, place points into "Armor" (bottom interface, third rune from the left) can increase your chance to dodge attacks (not traps!) and also grants your heroes extra armor (for every 10 points allocated). Armor works like extra health, but does not stop damage from traps! Remember to stay mobile, don't stand at the same spot to fight monsters! Keep moving!